Do I need a Stock Photo Subscription or Can I buy Individual Image Credits? Should I Buy Image Credits or a Stock Agency Subscription? There is no easy answer to this question. As a buyer, your particular needs are what will define which method suits you better. 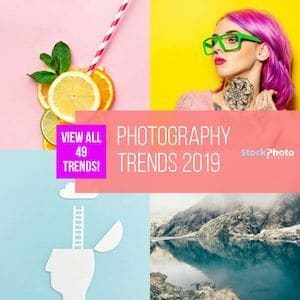 Essentially, it comes down to the level of usage and frequency at which you need royalty free stock photos for your business or creative projects, and equally important, your budget. Based on these parameters, individual image purchase may be perfect for some buyers, while for others a stock photo subscription makes perfect sense. Stock Photo Subscription or Credit Package? Most stock agencies have credit programs that allow you to buy credit packages to purchase images individually. While most stock photos are normally priced at one credit, most agencies establish a minimum number of credits to be purchased (this number falls between 5 and 12 credits depending on the agency). Subscriptions allow you to get a larger volume of stock images, with monthly, weekly or daily limits, for a convenient flat fee. If you want to know more, here’s our primer definition of stock photo subscriptions. The major difference between credit packs and subscriptions is price: Subscriptions offer a much greater value for buyers who need large amounts of stock images. For instance, Stock Photo Secrets’ 99club gives you 200 XXL stock images for $99 (which works out to $0.49 per image), and our Low Volume subscription gives you 600 XXL images for $199 (only $0.33 per image). In comparison, an iStock image credit pack gives you 12 credits/12 images from their Essentials Collection for $115 ($8.33 per image). Learn more about the 99club and the Low Volume subscriptions from Stock Photo Secrets. Do you want to know the best subscription offers available? Click here to read The Top 7 cheapest stock photo subscriptions. You may balk at the pricing of iStock’s credit packs, or at the price hike between their subscription offers and our Stock Photo Secrets’ subscriptions. So we feel it is important to explain here the difference between our agency and iStock. 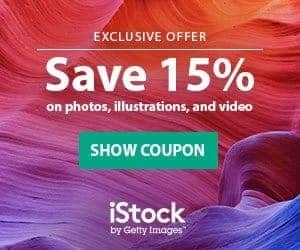 iStock by Getty Images is one of the oldest and largest stock photo agencies, with a massive collection of photos, illustrations, video and audio files, making it one of the most diverse stock image collections in the world. Their varied and high-quality royalty free images, included in their Essentials (can be found at other stock agencies) and Signature (exclusive and only found on iStock) collections demand a higher sticker price mainly because of their exclusivity and premium quality. You can read our iStockphoto Review (now iStock) here. This agency also offers 4 free stock images every week to their members, click here to know where to find iStock’s free photos. To get iStock’s free photos sign up here now. And check their pricing for credits and subscriptions here. So how about Stock Photo Secrets? Why do we have some of the cheapest stock photo subscriptions around? Well, our collection, with its 4,000,000 stock photos, vectors and fonts, is much smaller than iStock’s, and it’s not exclusive. Plus, Stock Photo Secrets’ 99club and Low Volume subscriptions were specifically created by me in order to offer small-to-medium sized businesses (like graphic designers, small agencies, and bloggers) access to high-quality stock images on a limited budget. Click here to purchase the 99club or the Low Volume subscriptions here. Most stock agencies sell photo credit subscriptions or credit packages for the purchase of stock photos. Stock photos can be purchased with one credit but the minimum number of credits that can be purchased is 5 to 12 credits depending on the agency. For the personal buyer, credit packages are an inexpensive introduction to using stock agency photos. If you buy for your website, or a marketing campaign and only require a few images and photos, the credit package is an alternative to the stock agency subscription. Most stock agencies sell photo credit subscriptions or credit packages for the purchase of stock photos. As said, stock photos’ individual prices start at 1 credit, but there is a minimum credit purchase of around 5 to 12 credits to start buying images. In the last years the stock agencies have changed their terms and made their credits have a much longer validity period. For the beginner buyer, credit packages are an inexpensive way to start using stock agency photos. If you are buying images to use in your website, a marketing campaign or other similar projects that would only require a few images, then credit packages are a good alternative. They allow you to get fast access to stock photos, and to buy only the ones you need. Now, if you need to buy stock photos constantly and/or in large quantities, a stock photo subscription is the most convenient option. It is the cheapest way to buy photos and images, and saves you both time and money giving you access to hundreds of images per month for a flat rate. The average price of the Stock Photo Secrets’ 99club subscription is $0.49 per image, and can go as low $0.33 per image when you purchase our Low Volume subscription. Other stock agencies’ subscription offers differ, and there are many options to choose from. Would you like to compare image prices for stock photos? Read here. Are you new to stock photography buying? Get started with image credits, but buy a subscription if it works better for your business. Do you have a demand for hundreds of stock photos per year? Buy a stock photo subscription, you’ll save money! Are you on a tight budget, and need lots of stock images? Buying a stock photo subscription will be cheaper for you in the long run. Stock Agency Membership is Free So Sign Up Now! Membership to every stock photo agency is free. Even if you are not sure yet which one is the best for you, sign up for as many agencies as you want, become a member, and when you are ready to buy your stock photos, get your image credits or subscription. To sign up for iStock click here. And here for Stock Photo Secrets’ 99club and Low Volume subscriptions. If you want to learn the differences between the main stock agencies, read: Stock Photo Agencies Compared: Shutterstock, iStockphoto, Fotolia, Dreamstime, 123rf here. In conclusion, image credits are nothing to worry about, and are the perfect way to dip your toes into buying from stock agencies. They offer you little risk in the long term, meaning that you can buy images in small quantities, and if you ever need more images and want a better price, you can switch to a subscription. The real beauty of stock photo subscriptions is that they save you money in the long run. Our subscription plans let you save hundreds of dollars compared to other stock photo agencies! Whether 99club or Low Volume piques your interest, having these subscription plans will save you a ton because they are some of the cheapest stock photo subscriptions available. Buy a Stock Photo Secrets’ 99club or Low Volume subscription now!